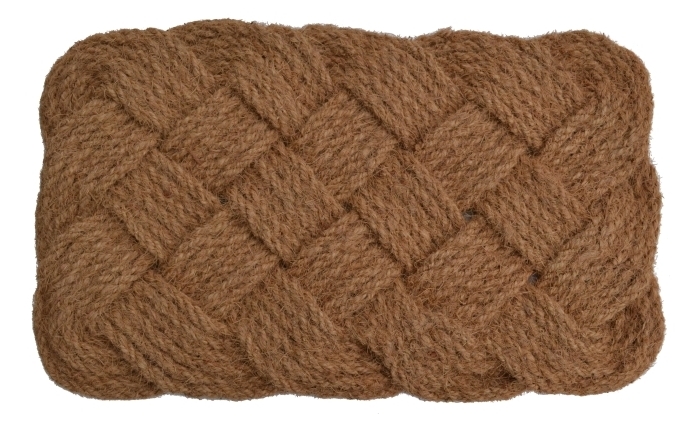 100% coir rope mat is constructed with twisted natural coir ropes, beautifully woven together in an intricate pattern. 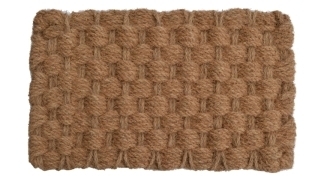 The mat is artfully created, made only of 100% coir. 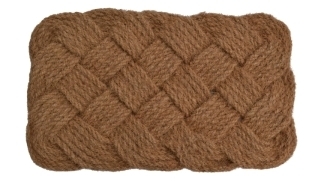 The unique pattern is crafted on both sides of the mat in a never ending knot. 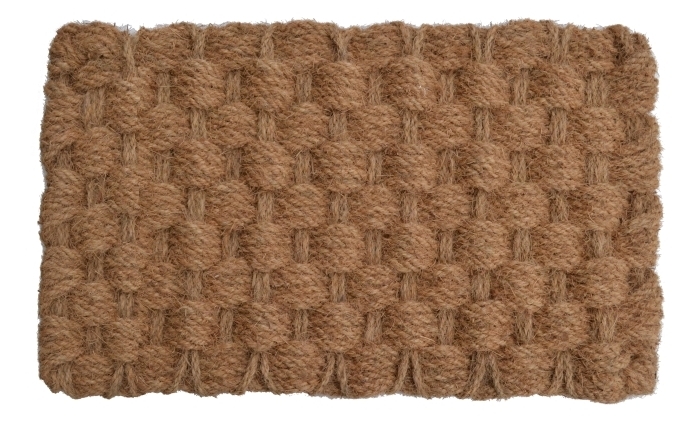 Though the design seems delicate, its coco fibers are durable enough to withstand outdoor conditions, and catch dirt and mud from dirty shoes.